Anyone who is concerned about the worsening condition of our environment would be convinced by only one argument: using solar energy helps the environment. But is this the only benefit? Of course not, many of us realize how much money you can save by having solar panels installed on your house. Both of these points are already enough to prove that choosing solar energy is worthwhile. However, we have decided to show that it makes much more benefits than we think. mounted on buildings relevantly reduces the carbon emission. Solar energy users save money. It is financially beneficial to use solar panels to provide electricity for your house – you either do not pay any bills or reduce them significantly. It is a very good option for both private house owners and businesses. It is a very good investment. The initial expense will bring great return in a few years (on average it takes 7-8 years). It is a good investment alternative for stocks and bonds. Your house will be valued higher by appraisers. Houses with solar panels installed constitute a much more attractive offer for potential buyers. The demand for houses equipped with solar panels is growing along with the increasing popularity of solar energy and the awareness of its merits. You can avoid unexpected rises of the energy prices. Your financial situation will become more stable and your expense planning will be much easier. The fact that you do not need to be dependent on the energy providers is very comforting. Solar energy is available for everyone. This fact creates an opportunity for your country to become independent from other countries which distribute the traditional sources of energy. The growing solar industry creates well-paid jobs – in 2015 these constituted 1.2 percent of all U.S. jobs. This contributes to the common welfare and helps the economy both local and countrywide. Consumers choose “green” businesses. It is becoming more and more important for clients whether your business cares about sustainability and social responsibility. Employees appreciate the employers who feel responsible for the community and environment. Thus, the engagement and commitment of workers can be higher, which will result in better efficiency and results. Your company becomes competitive. 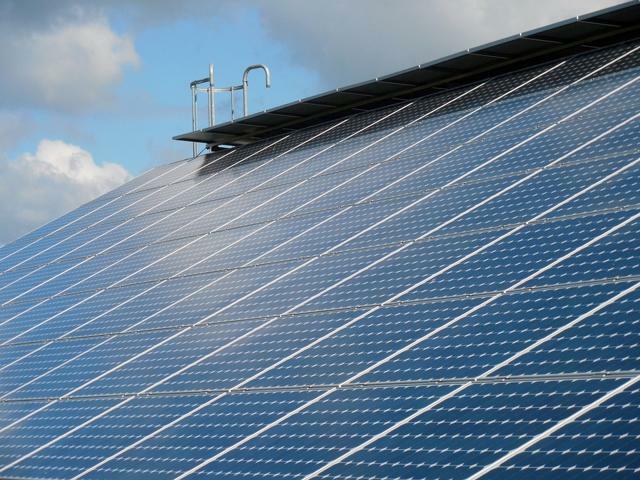 Businesses are realizing the social and economic profits of using solar energy. Those who turned to solar energy as the first ones are the leaders in the competition now. If you want to keep in step, you should develop the green attitude as well. Those who care about the environment and economic growth will not need more arguments. The energy of sun provides a beneficial alternative for the traditional energy usage. If it is easily available and has so many assets, why not to utilize it? Previous Previous post: Solar power cheaper than the energy of wind?